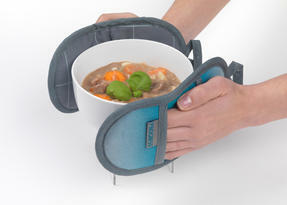 A staple for any kitchen, these Progress Magnetic Microwave Mitts enable you to safely lift and move hot dishes from the microwave ready to serve dinner. 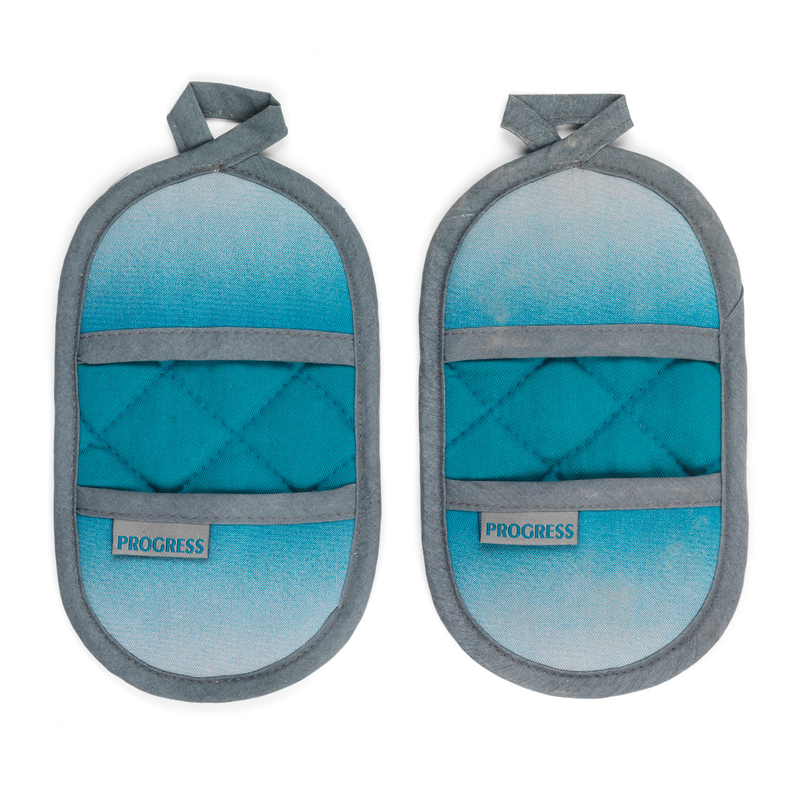 Made from cotton twill with a durable polyester and cotton filling, the mitts conform to safety standards and feature a smart teal ombre design with grey binding. Practical to use and neat to store, they each have a hanging loop and a magnet so they can hang onto the microwave for easy access when needed. Remove hot dishes from the microwave or lift pans off the hob with ease after cooking using these Progress Performance Microwave Mitts. 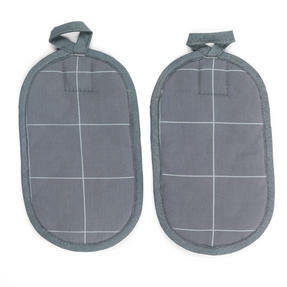 Made from cotton twill with a polyester and cotton filling, the heat resistant padding conforms to BS6526:1998 safety standards. 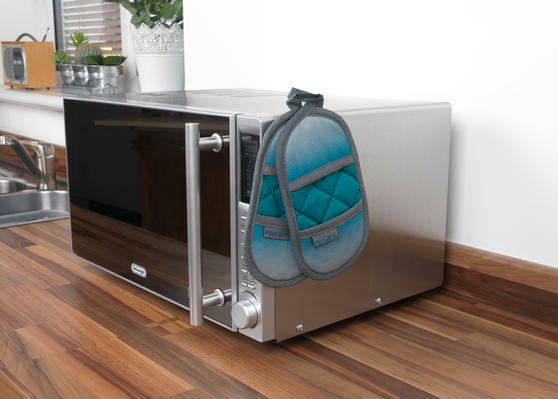 Each mitt features a hanging loop and a hidden magnet so they can attach to the microwave or a cupboard handle for storage. 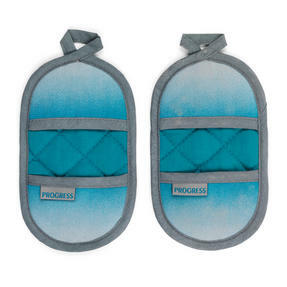 Measuring 11.5 x 20 cm each, they are comfortable to use while the machine washable fabric is easy to keep clean and hygienic. 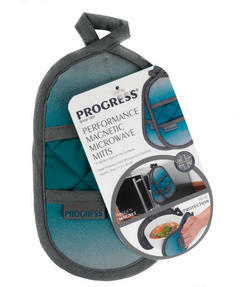 With a smart teal ombre design, quilted interior and grey binding, the microwave mitts will look great in any kitchen.